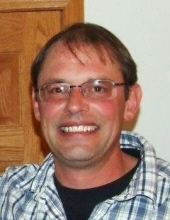 Daniel J. Creel, 54, of Belgrade, died at Bozeman Deaconess Hospital on Tuesday, March 19th. He was born in Helena to the late Dale and Lucile Creel on April 7, 1964 and graduated from Helena High School in 1983. He and Jeannette Creel have been together for 21 years and briefly lived in Helena before moving to Belgrade where he worked as a subcontractor and painter. His kind and patient demeanor served as an example for others who worked with him. He was a committed family man who loved spending time with his children, grandchildren and siblings. He enjoyed the outdoors including camping, skiing, fishing and river rafting. He is survived by his wife Nettie, two children Devin (Destinee) and Tony, two grandchildren Lilee and Evanna, five siblings Doug (Ali) Creel of Spokane, Lorraine (Dan) Brewer of Florence, Dennis (Kate) Creel of Florence, Louise (Bill) McChesney of Stevensville and Loretta (Joe) Hayes of Redmond, Washington, Uncle Brian (Donna) Ahern of Helena and numerous nieces, nephews, cousins, and many friends. A celebration of Daniel’s life will be held in early summer. To send flowers or a remembrance gift to the family of Daniel John Creel, please visit our Tribute Store. "Email Address" would like to share the life celebration of Daniel John Creel. Click on the "link" to go to share a favorite memory or leave a condolence message for the family.